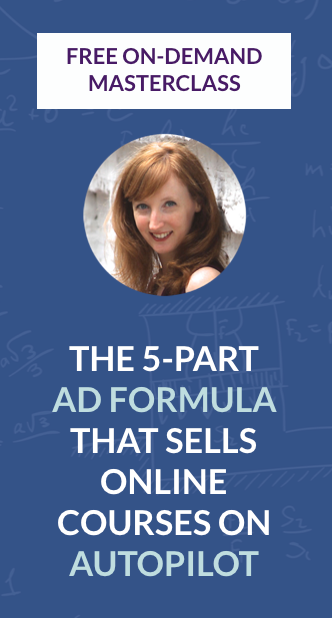 This is the third in a 3-part series of blog posts all about advanced Facebook ad targeting. 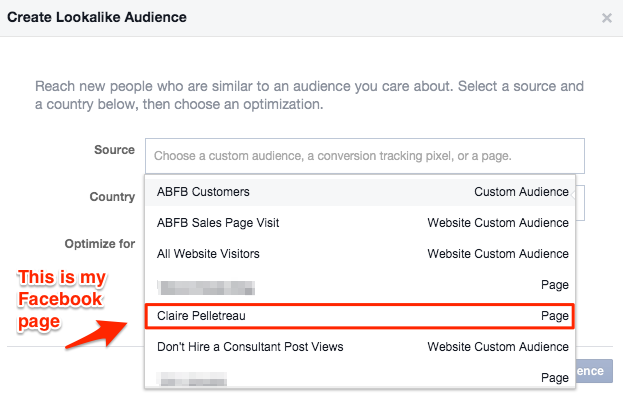 In my last two posts, I showed you how to use Lookalike and Website Custom Audiences to enhance the targeting of your Facebook ads.In this post, I’m going to show you how to tie Lookalike and Website Custom Audiences together to create even more laser-focused target audiences. Booyakasha! Website Custom Audiences are groups of people who have visited certain pages on your website. You install some code on your site to send Facebook info about your visitors. 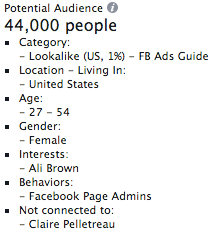 Facebook then tracks down their user IDs to adds them to your audience. In the following tutorials, I’m going to teach you about a few more Lookalike Audiences you can create based on some of the tracking you’ve been doing with your ads. Lookalike Audiences based on your conversion tracking pixel. Lookalike Audiences based on the visitors to your website you’ve been collecting with your Website Custom Audiences. 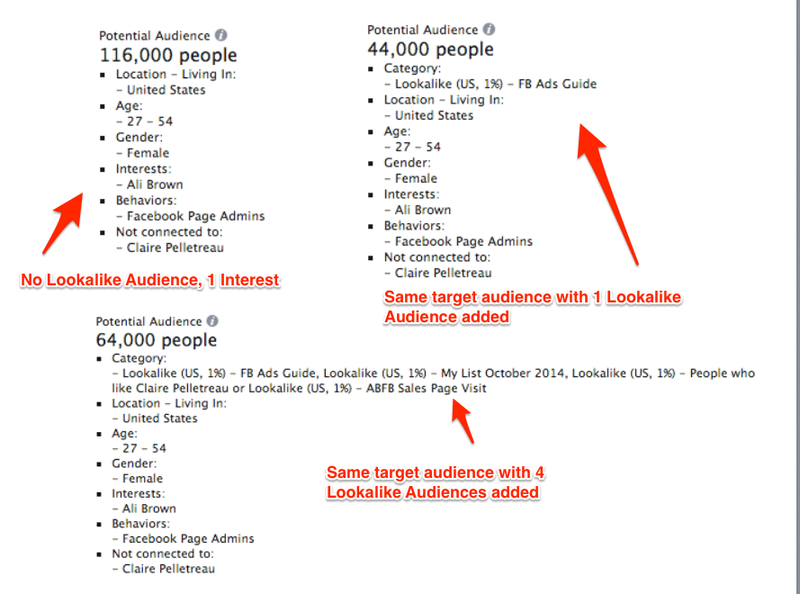 Lookalike Audiences based on your Facebook fans. 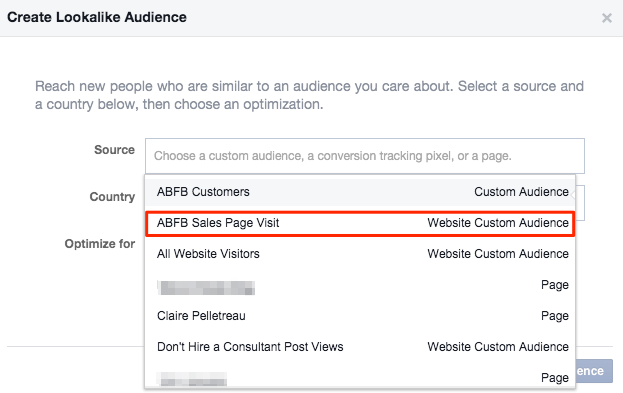 You know how you set up conversion tracking to be able to see what is and isn’t working with your Facebook ads? 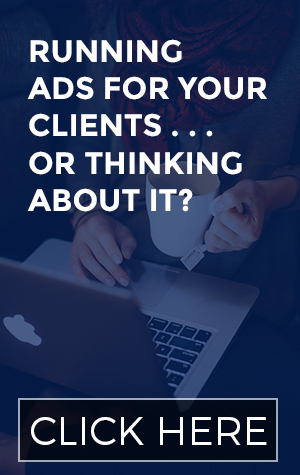 When someone clicks on your ad, checks out your website, and converts (e.g. signs up for your list or makes a purchase), Facebook holds onto some data about them. That means that you can create a Lookalike Audience of people who are similar to anyone who converts on your website via your Facebook ad. The concept is the same, but your list is composed of email addresses. If you’ve ever tried to create a Custom Audience by uploading your list, you know that the number of people who end up in that audience is always smaller than your list size. Why? Because people don’t always sign up for newsletters, etc. with the same email they signed up for Facebook with. When you create a Lookalike Audience with your conversion tracking pixel, Facebook has more data to work with when culling together the right people for you to target. My advice? Create a Lookalike Audience from your list and also from your conversion tracking pixel. Use both audiences side-by-side in your targeting. It can’t hurt! 1. Start in the Conversion Tracking section of the Ads Manager. 3. Click on Actions and choose Create Lookalike Audience. 4. Leave the Source as is and select which country you’d like to create your Lookalike Audience with. Remember, each Lookalike Audience can only include people from one country, but you can create individual audiences for different countries. 5. Leave everything else the same and click on Create Audience. Your Lookalike Audience is now being created by Facebook. Click here to brush up on how to add this or any Lookalike Audience to your targeting. Since you’ve got one or more Website Custom Audiences (WCAs) set up, why not use that information to pull together an even more specific Lookalike Audience? 1. This time you need to start on the Audiences page of the Ads Manager. 2. Click on Create Audience and select Lookalike Audience. 3. Click on the empty field next to Source to display your options. Depending on how many Custom Audiences you’ve already created, you may have several or just a couple options in this dropdown menu. 4. Choose the Website Custom Audience source you want to use. In this case I’m choosing ABFB Sales Page Visit. 5. 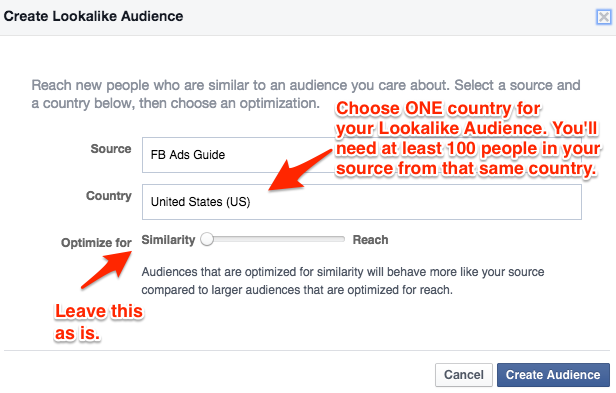 Choose which country to draw your Lookalike Audience from and don’t touch the “Optimize for” slider. Click Create Audience. And your audience is sent off for Facebook to create! Now you’ve got a Lookalike Audience based on your conversion pixel and another based on people who visited a specific page (or pages) on your site. The last one that I’d recommend including is a Lookalike Audience based on your fans. I’m not going to walk you through these steps one-by-one because they’re EXACTLY the same as the steps in the tutorial directly above. Except this time you select your page under Source. The rest stays the same. BOOM. One more Lookalike Audience for you to play with. Do you have some fans who aren’t your ideal customers? Not to worry – it happens to all of us. Remember, though, that when you use a Lookalike Audience in your targeting, you can still filter out bad matches by using demographics AND interests. In fact, I highly recommend that you combine Lookalike Audiences with the same targeting basics I taught you about here. Create different ad sets to test different Lookalike Audiences. Use the same ads and the same interest and demographic targeting, but change up which Lookalike Audience you use under Custom Audiences. Divide up your daily budget among your ad sets to see which one gets you the best CTR and cost per conversion. Just remember that you will probably have some overlap in your target audiences since people are likely to end up in more than one of your Lookalike Audiences. That’s nothing to worry about. HOLY COW – you made it all the way to the end of these 3 tutorials! Damn son, I’m impressed. I’m curious – have you already given Lookalike Audiences a try in your ads? Did you see an improvement in your cost per conversion? Or any other changes in performance?